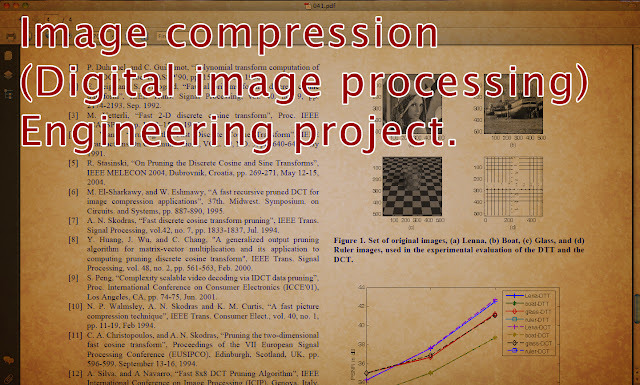 Image compression projects: digital image processing (ECE, CSE projects) ~ Engineering projects ideas for final year students & paper presentations collection blog. Title: Fast Block-Pruned 4x4 DTTAlgorithm for Image Compression. Department: Computer science engineering, Communication engineering, electrical engineering, Digital image processing, Digital signal processing. Can be used for: Final year engineering projects, paper presentations, research works. 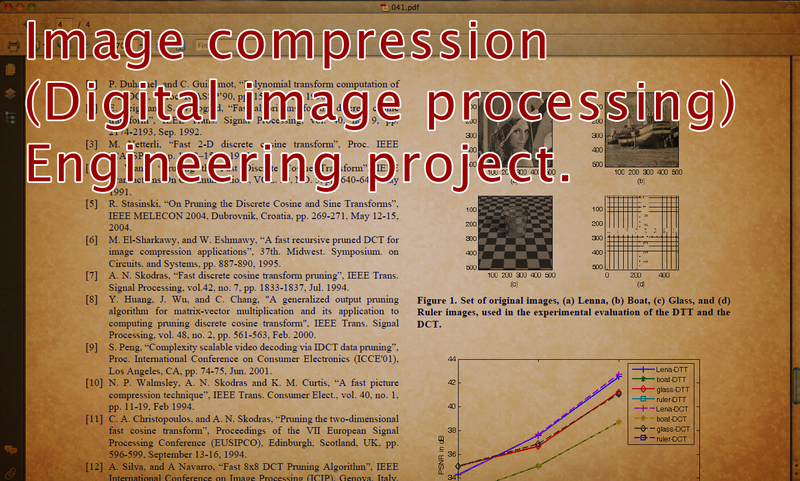 Finding image compression and digital image processing project topics for your final year engineering projects can be so easy and simple. Because of the development in the trend of "project centers" and guides. Still this project on digital image compression is valuable because this is more real and latest trend in the topic that you will not find in the lists of your project centers. The most interesting fact about the DIP projects is, This topic is one of the common topics that is open to all the departments of engineering (probably). This is due the application and demand for this concept. The image compression is done to send the large sized original image through the internet to a remote place. As sending such large data through the internet is not practically possible, we need image compression and processing. Sample from this image compression / processing project: In this paper, a fast 4x4 algorithm which is suitable for different block-pruning sizes is proposed. The rest of the paper is organized as follows. Section II introduces the definition and the properties of the DTT algorithm and its 4x4 version. The proposed fast block-pruning 4x4 DTT algorithm is presented in Section III. In Section IV, the computation complexity of the proposed algorithm is illustrated with respect to different block-pruning sizes. As well as, the computation complexity of the proposed algorithm is compared with those of others. Section V demonstrates the reconstruction of different standard images using the pruned 2-D DTT vs. the pruned 2-D DCT. Finally, the conclusion is given in Section VI.